Zombie Tsunami is an immersive mobile title available for both Android and iOS platforms. 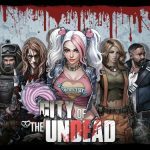 In this game, you’ll be taking your place “in a crowd of rampaging undead” as you make your way through the city and attack the still-human survivors of this particular zombie apocalypse. Indeed, you’ll be playing here as the zombies, which is a unique twist on the usual zombie-related mobile game; normally, you’ll be representing the survivors, but this time, you’re actually one of the “bad guys.” The game comes with over 300 missions, eight types of power-ups and bonuses, and different ways in which you can eat survivors or convert them to your cause. So how do you go about all that? 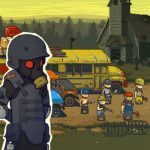 We’ll show you how in the first part of our Zombie Tsunami strategy guide. When you upgrade in Zombie Tsunami, you’ll also be giving yourself access to more and more zombies over time. And when it comes to starting a level, your goal should always be to kick off a level with four starting zombies. That’s going to give you a great chance of eating more brains and taking out more survivors. The Civilian power-up is one of the most important ones you could buy. If you’re just starting out, it’s a good idea to purchase several packs of civilians and use them immediately. This allows you to start out a stage quite impressively. In addition, more civilian packs means more chances at a 30-pack of zombies. 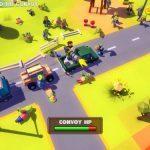 Over time, you’ll be in control of a substantial army of zombies that would be capable of turning vehicles over. Once you’ve turned over a certain number of vehicles, you’ll be rewarded with brains. So with that in mind, you’ll have to remember the mechanics of vehicles. First, you need four zombies to flip a car, and will get one brain each for doing that. For buses, eight zombies are needed to flip them for two brains and two zombie runners each. Lastly, tanks would need 12 zombies to flip, and will get you three brains and three zombie runners each. You may be wondering what the deal is with that grid. And here’s the answer – it’s going to fill up whenever you collect one brain. And once the grid is completely filled, you’ll earn yourself a scratch card, which you can then use to redeem a prize. This could be something trivial like a new background or something more substantial and useful, so keep collecting more brains if you want that grid to fill up faster. You may find giant and ninja zombies to be a great help to your cause. The former type has seven eyes, which it can then use to fire off lasers to turn vehicles over and give you more coins. The latter type wields a sword, which could then slice through vehicles, instead of turning them over.